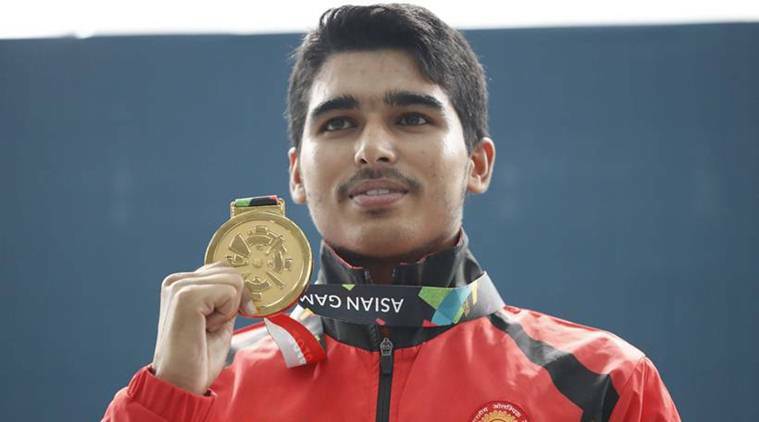 India’s junior shooting coach Jaspal Rana has claimed that a “tweak” in selection policy kept 16-year-old Asian Games gold-medallist Saurabh Chaudhary out of the national team for one year. Chaudhary, the son of a farmer from Kalina village in Meerut, went on to win the gold medal beating a field of multiple world and Olympic champions in Palembang, Indonesia, in the process becoming India’s youngest shooter to win gold at Asian Games. “He was out of the national team for one year because the policy was twisted by certain influential people within and outside the NRAI (National Rifle Association of India),” the Jaspal told PTI in an interview. Saurabh’s trial scores were better than Jitu before the Asian Games. World Championship silver-medallist Jitu, who has won a plethora of medals in top international tournaments before losing his touch, is being backed by Olympic Gold Quest. Rana doesn’t want his teenage prodigies to get “carried away” by the money, attention and laurels coming their way following a string of overwhelming results. “I am not angry but the thought definitely makes me feel bad and saddens me. They have a long way to go and are yet to see the bitter truths of life, the failures, which eventually make one strong,” Jaspal said.